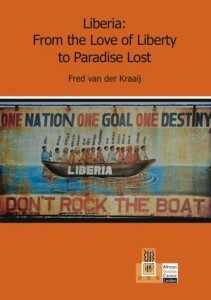 ← ‘Liberia: From the Love of Liberty to Paradise Lost’ – Now available in Monrovia! Some Liberians – both abroad and at home – say there is little to celebrate. Others, both inside and outside the country, say Liberia has made true progress under President Ellen Johnson Sirleaf (2006 – present). Who’s right? 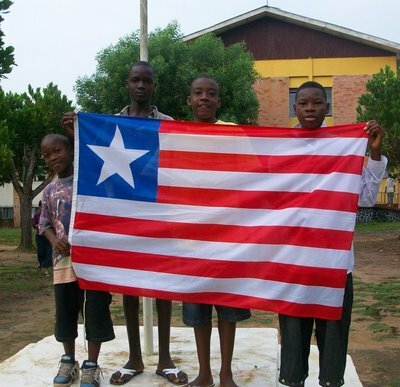 On July 26, 1847 Liberia declared itself an independent and sovereign State, after 25 years of colonial rule by an American private organization – the American Colonization Society – backed by the US Government. In August of the same year, the leaders of Africa’s new republic unfolded their country’s national flag for the first time, an event still celebrated as Flag Day (August 24). 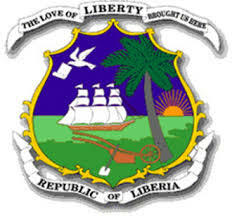 The following month, Governor J.J. Roberts was elected president – on September 27, 1847 – and he was sworn in in as Liberia’s first president in January, 1848. The journey of Africa’s first republic started. Since then much has happened, too much to tell the whole story here. On the positive side, to start with, is the proud conclusion that Liberia has remained independent throughout the years, despite the ‘scramble for Africa’ (1885 – 1920), the 1930 ‘Forced Labour Scandal’ and two devastating civil wars (1989-1997; 1999-2003). 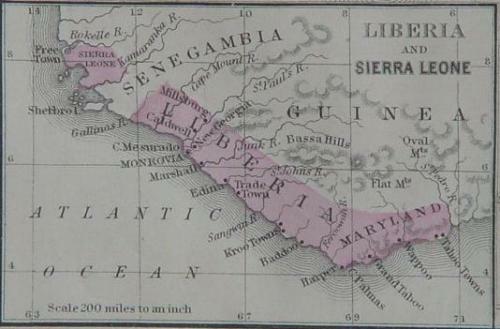 Eager colonial European powers seized parts of the territory claimed by the Monrovia Government. 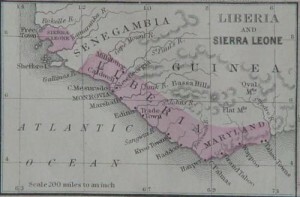 The English took the Galinhas territory in the west, now part of Sierra Leone, and the French seized the territory east of Harper, Maryland, now part of Ivory Coast. The ‘Forced Labour Scandal‘ and the damning League of Nations Report (named after its chair, ‘Christy Report’) led to the resignation of president King (1920-1930) and almost made an end to Liberia’s existence as an independent nation. More recently, the two civil wars that ravaged the country brought Liberia to the brink of disappearance. Many observers qualified Africa’s oldest republic as a failed state, but Liberia rose again to its feet, and made a new start under Africa’s first democratically elected female president, Ellen Johnson Sirleaf. Between 1847 and 2016, Liberia registered three assassinated presidents: E.J. Roye, William R. Tolbert and Samuel K. Doe. Moreover, four president resigned from office: Anthony Gardiner, William Coleman, Charles King, and Charles Taylor. Two of Liberia’s president’s made world history. The first president who made world history was Charles Taylor. In 2012 he was sentenced to 50 years in prison – minus time already spent in custody (since 2006) – by the Special Court of Sierra Leone (SCSL). It was the first time since the trials of prominent Nazis in Nuremberg at the end of the Second World War that a head of state had been convicted. The conviction by the SCSL also made Charles Taylor the first African head of state to be found guilty of serious crimes by an international tribunal. The second Liberian president who made world history is Ellen Johnson Sirleaf. Not only is she Africa’s first democratically elected female president, she also made history as a co-winner of the Nobel Peace Prize in 2011. I could go on-and-on, switching to Liberia’s economy, but I have little to add after publishing a book on Liberia’s contemporary history, covering political, economic and social affairs (2015). The book’s title may speak for itself, ‘Liberia: From the Love of Liberty to Paradise Lost’ (published by the African Studies Centre). 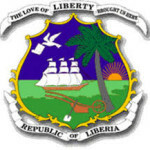 ‘The Love of Liberty’, from Liberia’s national motto ‘The Love of Liberty Brought Us Here’ (see above), stands for the hopeful start by black Americans – freed slaves and free-born black and colored people – who left the WASP-dominated United States in the 19th century where segregation and discrimination were part of daily life. They, black colonists, ‘pioneers’, and their descendants – who called themselves ‘Americo-Liberians’ – ruled Liberia until 1980. Samuel Doe – Liberia’s first indigenous president – ended 133 years of rule by the Americo-Liberian minority of less than 50,000 people. That’s the ‘Paradise Lost’ part of my book’s title. Samuel Doe’s coup started a new chapter in the country’s history. With hindsight it was a period of dictatorship, human rights violations and far-reaching economic decline – and the prologue to 14 years of civil war. What once had started hopefully as the first African republic to be modelled on Western lines became a tragedy. The ideal of freedom of the American colonists – mulattoes, free-born blacks and former slaves – had been blown apart. The paradise on Earth that they dreamed of as they crossed the Atlantic proved an illusion. In 2016, some half a million Liberians even live outside their country because they have no confidence or future in their African homeland. The Administration of president Ellen Johnson Sirleaf (2006-present) brought peace and more political stability, partly thanks to a UN peacekeeping force, UNMIL. But the country remains underdeveloped as ever. A prominent Liberian, one of the country’s veteran politicians and an internationally renowned economist, Dr. Togba-Nah Tipoteh, declared in 2015 that, in terms of income per day, ‘the Liberian people are the second poorest in Africa’. Next year Liberians will elect a new president, Ellen Johnson Sirleaf’s successor. Who will govern Liberia and its 4.2 million people? Whoever may win the 2017 presidential elections, he or she faces many challenges. The difficulties that Liberia has to overcome to take control of its own development and destiny are both numerous and daunting. National unification – making one nation out of 16 different tribes – , national reconciliation – healing the wounds of the civil wars – and economic development – based on Liberia’s enormous natural wealth – are among the top priorities. ‘Don’t rock the boat’ seems to be more important than ever. This entry was posted in 2016, 2017 presidential elections, African Studies Centre Leiden, American Colonization Society, Americo-Liberians, Anthony Gardiner, April 12 1980, Charles Taylor, Christy Report, Civil War(s) Liberia, Economic development, EJ Roye, Elections in Liberia, Ellen Johnson Sirleaf, Flag Day, Forced Labour Scandal, Galinhas, Harper, Human Rights, Independence Day, Ivory Coast, JJ Roberts, Liberia, Liberia Colony, Liberia" From the Love of Liberty to Paradise Lost, Liberian Diaspora, Liberian Economy, Liberian History, Maryland in Africa, Monrovia, National flag, National Motto, National reconciliation, National Seal, National Symbols, National unification, natural resources, Nobel Peace Prize, Nuremberg, peace, President Charles King, President Charles King resignation, racism, Reconciliation, Samuel Kanyon Doe, Scramble for Africa, Second World War, Sierra Leone, Sierra Leone Special Court, Slavery Scandal, Tipoteh, UNMIL, WASP, William Coleman, William R. Tolbert Jr.. Bookmark the permalink.